A visionary artist and poet of great originality, Blake conveys a true reverence, wonder, and humility in the mystery of creation of whom God is the great benefactor. 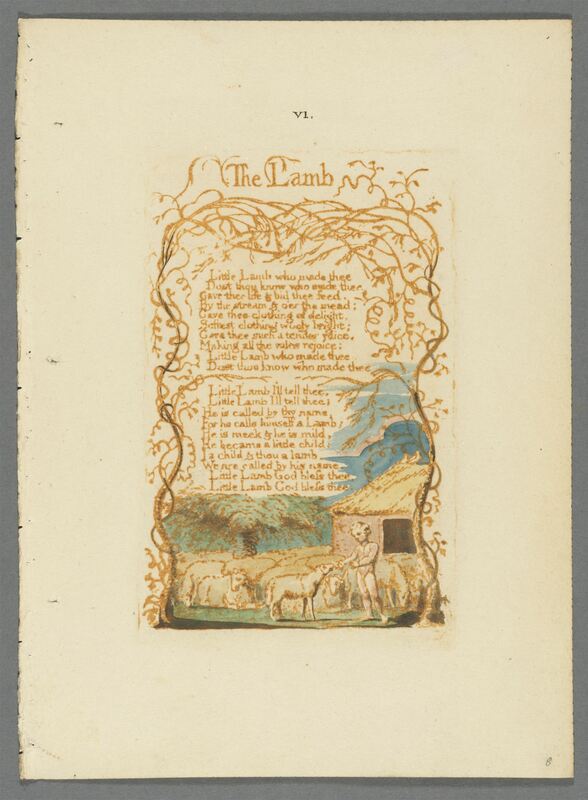 In his well-known poem “The Lamb” he witnesses nature as through the eyes of a child, at once luminous and sublime deserving of deep reflection, pause, and respect – a benevolent view I share perfectly. This hand-colored leaf is from a unique copy wholly designed and engraved by Blake himself.